Windows can be plain and simple or they can add depth & dimension. In today’s market there are so many options to consider when replacing and upgrading your windows, on an existing home or when you are building from the ground up. The additional dimension of windows enhances the character of a home. Not only this, windows, when placed right can add extra light inside a home and warmth too. This extra warmth in the winter can also help keep your heat down in the winter. Let Habitat Building Groups expertise help you choose the correct window/s for your home, come and meet our experts. 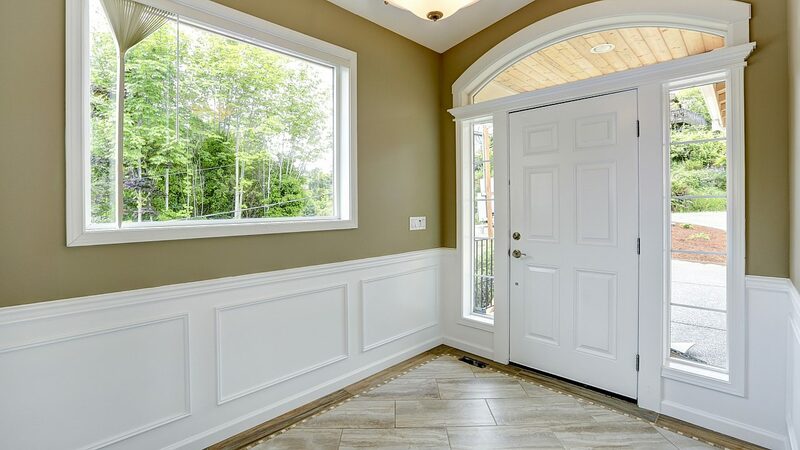 The final piece to a home is the front door. They can be elaborate or simple as you can see from the photo’s. What a better way to say Welcome family, friends and even strangers. So whether you are upgrading your front door and choosing one for a new build, let Habitat’s experts help direct and guide you to what will work for your home, while keeping with your idea’s and theme. Doors aren’t what they used to be, you can get flush, panel, french, barn, pocket and patio doors for the interior of your home. Whether it’s to separate two rooms to finding that door for the bedroom where you drift off to sleep. The diversity is endless which allows you to create the magical wonder of your home,that will add a sense of peace and tranquility. Need a contractor for Windows & Doors? We can help.